The mission of Art Bias is to be a community where artists have access to the resources and opportunities they need to thrive. We provide artist studios, professional development events and resources, exhibition opportunities, and a thriving community of artists interested in each others’ success. 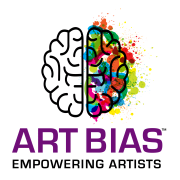 Art Bias is located on the border of San Carlos and Redwood City and is a 501(C)(3) non-profit organization with a 25 year history in servicing the Bay Area Peninsula. We are accepting applications to join our Board of Directors and to take on the officer position of Treasurer to support the organization and its mission. You will be working alongside a team of volunteer board members with expertise in their respective areas. We are a team of individuals who recognize supporting the arts is fundamental to improving quality of life, and we are willing to give back to our community through service to Art Bias. It is not required that you are a practicing artist, but you should have a love for the arts! By joining the board, you are committing to at least one year of service where you are expected to attend a monthly evening board meeting (on the border of Redwood City & San Carlos), and dedicate a few additional hours per month in helping us progress our mission. At least 3 years of experience in a finance-oriented role: CFO, accountant, tax preparer, bookkeeper, etc. To apply, please submit your résumé or link to your LinkedIn profile to recruitment@artbias.org . We apologize in advance that we cannot respond to every submission.